Drawn in by the tactical, human and emotional aspects of the work, Dean developed a love for employment law during his time as a trainee solicitor. That was over 13 years ago. Formerly an international athlete, Dean has a competitive drive that pushes him to achieve for his clients. Whether acting for the world’s leading multinationals, their key individuals or start-up companies, he discovered that being an employment lawyer you can make the difference on a daily basis. Each day presents a new set of challenges and a chance to succeed. There is a great sense of achievement in that. Dean is a highly experienced employment lawyer and has built a successful practice acting for a number of the world’s leading organisations and their key individuals. He is known for his tactical skills and ability to find ways to beat the opposition. He has an unwavering belief that there is always something that can be done in any given situation. Dean deals with all aspects of employment law and has worked on a number of leading and newsworthy cases. 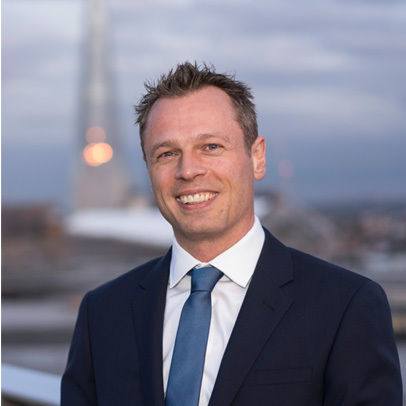 His practice includes advising on multi-jurisdictional matters, international acquisitions, sensitive Equality Act issues, claims involving psychiatric injury and high value whistleblowing disputes in the private, public and charity sectors. He acts for employers of all sizes from multiple international organisations to start-up companies, all with the same level of enthusiasm, professionalism and dedication. Dean is also well known for his highly successful work for senior executives of FTSE 100 companies. He has a deserved reputation for getting excellent results for his clients, leading to multiple repeat instructions and frequent referrals. Dean is an outstanding lawyer, who pays meticulous attention to detail and is scrupulously devoted to the client’s best interest. I have no hesitation in recommending Dean to any corporate or individual claimant. Dean steered me through an exceptionally testing, frightening situation with calmness and humanity – never losing sight of the focus of the case. His technical knowledge is deep and fail-safe; his overarching concern is for the wellbeing of his client. Dean has a remarkable gift to genuinely build trust and rapport through his empathic approach and patience to understand the core of the situation. I have no hesitation in recommending Dean to anyone that is seeking excellent and trusted legal advice. Dean steered me through an exceptionally testing, frightening situation with calmness and humanity – never losing sight of the focus of the case. His technical knowledge is deep and failsafe; his overarching concern for the wellbeing of his client. What belief led you to want to be an employment lawyer? To help people and make a difference. I genuinely wanted to make an impact for others. Practising employment law allows you to do that. I also love the human and psychological aspect of the work. Why have you chosen to stay working for Jones Chase? I love the firm and what we have built. We have a very happy working environment and that radiates out to how we treat our clients. I am proud of who we act for and what we do for them. What do you believe sets Jones Chase apart? We offer incredible service in terms of our work product blended with the unique way in which we look after our clients. We also have a phenomenal success rate. What motivates you about work? I love making a positive difference in people’s lives, both internally and externally. I take great pride in seeing our clients and staff being happy.